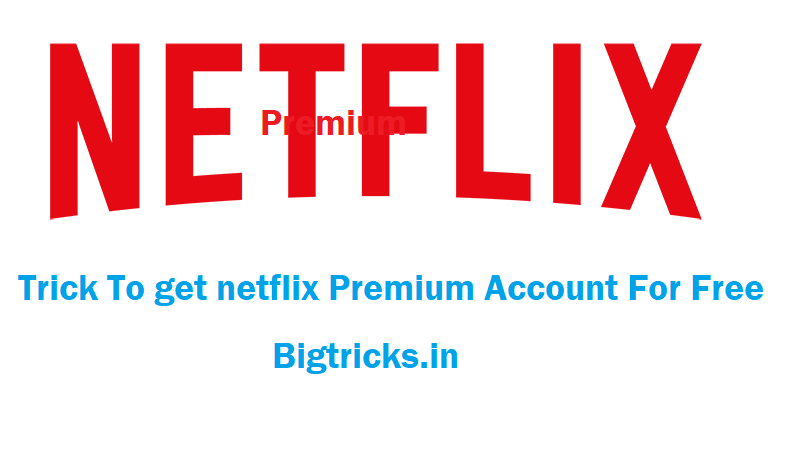 Netflix Premium Working Trick:-Hello Bigtricksian I am back With Netflix Premium Trick. I already Posted about Hotstar Premium Account(Trial) and That is Still Working Fine. Netflix Premium in India is Costing Rs.500-800 Per month. Activating Netflix Premium You can Enjoy 1000s of Hollywood Famous TV Series, Movies, and Bollywood movies also, in addition, Netflix also Offers Netflix Original TV Series. If you have recharged with any plan of Rs. 499, Rs 649, Rs 799, Rs 1,199, Rs 1,599, Rs 1,999 and Rs 2,999. then skip the step else recharge with any of the plans first to get The offer activated on your number. Now From the MyAirtel App Open The Airtel Thanks Option. You can Check all available offers here, the first offer should be Netflix premium while the next should be for Amazon Prime. Now Activate Your Netflix Membership from here & Login to Your Netflix account. If You have a Debit Card or Credit card You can take Netflix free for a month at no cost. You just have to activate the Netflix trial for free. 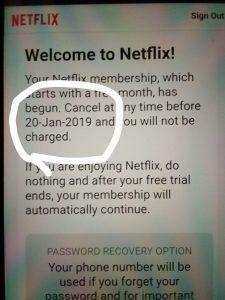 You will not be charged until next month & you can cancel the subscription within the period of 1 month. netflix will also notify you before your trial is about to end so Cancel it. Now Follow The Phase 2 Steps to activate Netflix Premium. 1. 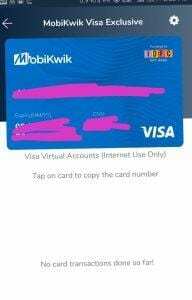 First of All Download mobikwik App. If you have not installed it till now.2. Now Create Account or Login to your Account.No need to Add Money. Try DBS Trick if it did not work out. 4. Now You will get a Visa card that you can use on Netflix. 5. Now Visit Netflix Website & Create a new Account. 6. use The card you get from Mobikwik to pay Rs.0 & verify the card. 3. Once You Verify the Card. Your Netflix premium Services will be started immediately. 1. Download Digibank By DBS From Play Store. 3. Create e-Wallet on The App. You will be required to do KYC. 5. You will get a Debit card, that you can use on Netflix. 6. Deposit the amount for which you want to do the transaction. if You are an SBI Account Holder, you can Use SBI Virtual Card Feature to Get Netflix Premium Trial For 1 Month. Visit onlinesbi.com >> Cards>>Virtual Card. Generate a new virtual Card which will be valid for the next 24 Hours. Done. You have Got Netflix premium for 1 Month. 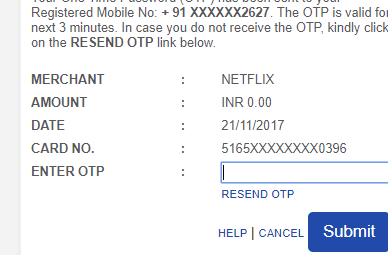 if You Don’t have SBI Netbanking, You can OPEN a Kotak811 Account And use The Virtual Card to Pay On Netflix. You can Read This post to Know About Kotak 811 Account Open Procedure. Also, You can Give a Try to Below Methods also. There is two Phase to get Netflix premium account. In First Phase you need to get your Virtual Credit card. here We will use Udio Wallet to get Free Credit card. Follow Phase 1st To Get virtual card For free. 1. 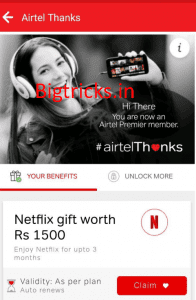 Use Kotak 811 or My Airtel App Now – Download MyAirtel From play store Update All Apps Need KYC except the mobile wallet or Pockets or Paytm Payment Card or Payzap All These Apps Will Give U Instant Virtual Card. 2.When The App is Downloaded. Just Open it And Sign up to APP. 3. You will be Asked to KYC but You can Simply enter any Adhaar Number or ID (No Verification) it. 4.Once You tap on update proceed to next step. 6.Once You add The Money Tap on Pay With Buddy Card. 8. Open it & You will get Your Virtual card. 9.Copy Card Details & move to Phase 2. 1.Download MyAirtel App From Playstore. 3. Once Signed up move to Payment bank. 4. Here Tap on Online Card>Enter Your M-PIN. 5. You, Will, See Your Mater card. 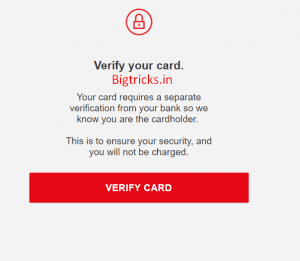 Copy Card number, Expiry Date, and CVV. 6. Enter these Card details on the Netflix Website or Follow Steps given Below. 7. Make sure You have Added Rs.0 To Your Airtel payment account. Now Visit Netflix or Download Netflix App. 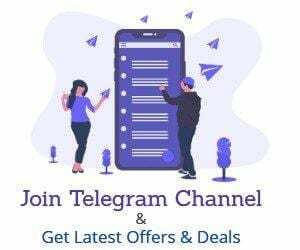 Install The App And Sign up or Login to Your Account. Now To Sign up Netflix Will Ask you to Enter Your Credit Card details. You have already got the Virtual credit card in phase1. Now Use this card to verify the account. You don’t need to pay anything the transaction amount will be 0Rs. 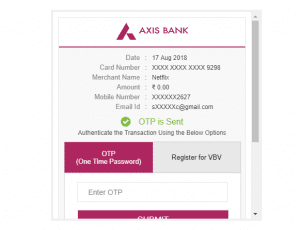 Just Enter the OTP and Complete transaction. Done, When the transaction complete You will get Premium account for 1 month. Here we at Bigtricks are not a Founder of this method. We are not mean to Void any violation of Netflix. This Method is Only for Educational Purpose. Try it at your Own Risk. I / Author / Bigtricks is not responsible for any Harm or for Any Violation of Any Party. So after one month of the free trial do we have to generate another Kite Card and follow the same procedure because as of your screenshot even you have a subscription till 21-dec-2017 after which it will cut amount from the Kite Card that is not available anymore. And even if we do then, it will charge 0rs or 650rs as mentioned above? can u share me ur mail id or whats no bro? Kite Cash is not accepting registrations for now, Any other application we can use? Is this method working if i want to renew my membership ?? Hy sonu kite cash app is not working, am unable to register. Can you suggest any other app? For first the first time that it will work, but for every month we should use different email for accessing it? From which trick? Kite cash? my Airtel app doesn’t generate new card every 24 hours! how to generate new cards? hello when i use SBI buddy that working only 7 days or 30 netflix ? sbi buddy not working anymore…any other app which lets u create multiple vcc? Will it work on same email address twice? Is there any new way to generate unlimited cards? Which trick should I use !! Have used tmwpay and it worked for Netflix. Thanks a lot! But I also want to get a Hotstar premium subscription. Any other way I can do that? Not working for me with tmw also… previously I had used Netflix could that be a reason. Bro please help me how to generate vcc cards for unlimited access.i guess kite stopped working. Which app provide unlimited virtual cards? I have tried SBI buddy and it’s not working anymore. Other apps like udio, tmw etc. provide only 1 card. Which mean I can’t create more than 1 account from single phone number. None of the below methods are working for me. I followed the steps mentioned by you. But, not accepting both the virtual cards. Both of my accounts and virtual cards are already KYC verified and have zero balance on them. 2) MyAirtel app – There appears to be a problem with the payment method you are trying to use. Please let me know if anyone else is facing the same issue or maybe some alternative. try to make a detailed tutorial on how to use tools like sentry mba and crack netflix and many other premium accounts has most of your competitors don”t have that post. Airtel and Tmw both not working what to do? sbi VCs are not working. I have already used Digibank e wallet once..But now new account on same device with different details is not working. It’s saying your device is already registered. You can Open One Account in 1 Device. netflix patched all of these – dbs doesn’t work, hdfc netsafe doesn’t work,many other vcc providers have shut shop. Nothing really works at the moment.. time to pay I guess. Ture i tried dbs today. Sonu bhaiyaji koi trick kaam nhi kar raha hai.